This month I am participating in Flourishes Timeless Tuesday challenges as one of their Guest Designers! It is all so exciting and you can be part of the fun too. 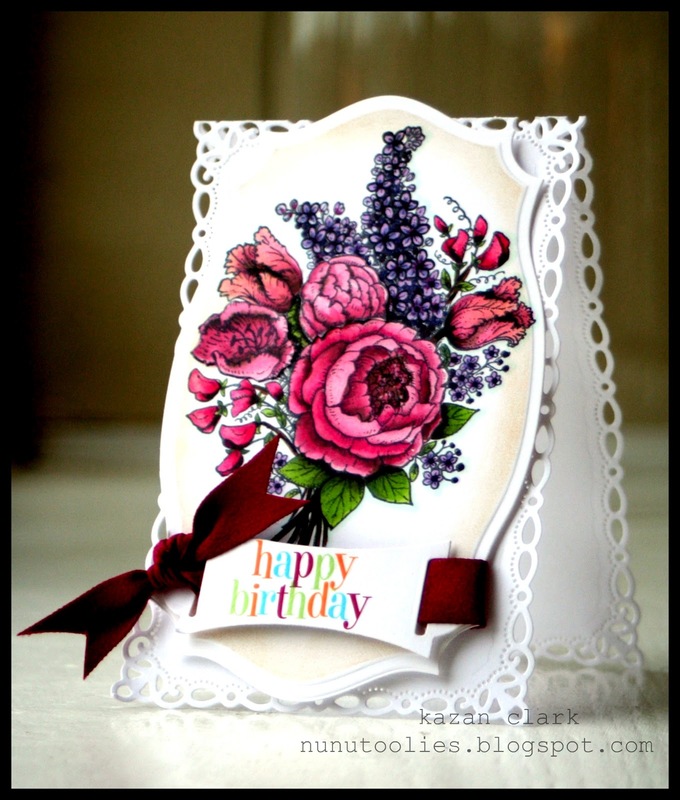 Here's how it works.. Each week a Friends of Flourishes Blog Team member hosts the challenge and this week it's Beate's turn to kick off April with a fun Birthday Card Challenge and I am playing along too - YAY! Thank you so much for joining us today. I can't wait to see your Birthday Card projects! Kazan, Welcome to flourishes. We are happy to have you as part of the Flourishes family! Kazan, I am so happy you join with us this month!! 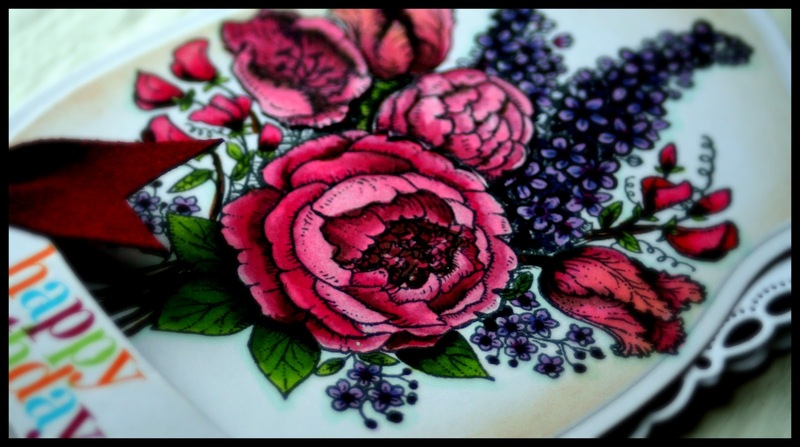 This card is gorgeous and your coloring is stunning!! I love the use of those SB dies too! Oh dear Kazan! What a gorgeous card! Love the depth and dimension you gave to those beautiful flowers! The pop right off the card! Absolutely STUNNING coloring, Kazan. Your card looks amazing! I am excited that you are guest designing this month. WOW! Beautiful coloring and fabulous design!!!! Gorgeous!! That purple just pops behind the beautiful pinks. Love it! Congrats on your guest spot! Wow, the flowers are just spectacular but LOVING that white card base, sooooo pretty! Absolutely gorgeous! I love your coloring. wish I could find out what Copics you used. Beautiful card Kazan! The flowers are breath taking!! gorgeous. Love the die you used for the edging. Very pretty. This is just beautiful Kazan!! I love the way you colored up that bouquet - just stunning! :-) So glad you could join us this month - I love your stamping style - so it will be fun seeing your spin on all of the fun and challenges!